That quote, by the writer and critic James Agee (1909-1955), is one I often share and discuss with my directing classes. It provided fuel for the makers of Behn Zeitlin’s magnificent 2012 film Beasts of the Southern Wild (www.beastsofthesouthernwild.com) and it resonates with me whenever I am trying to think of my favorite kinds of movies. I have always liked – maybe preferred – to attend movies by myself, which is probably a good thing. I have a long habit of trying to catch movies on weekday afternoons when the theatre is almost empty. One of the reasons for that is the ability to focus more intensely but the other is that it is sometimes hard to find people who share my tastes in movies. I am drawn to what I call “chamber movies” – intimate character-driven dramas that have a meditative quality and pace. Not everybody is into that. The 19th annual Sidewalk Film Festival happened in downtown Birmingham last week and, while I didn’t have time to commit myself to the festival as fully as I have in the past, I did manage to catch a screening or two each day. Two screenings stood out for me. Ella Brennan: Commanding the Table (www.ellabrennanmovie.com) is the 2016 documentary about the doyenne of New Orleans restaurateurs. Directed by Leslie Iwerks, the film reveals things about Ms. Brennan and the famous New Orleans restaurant family that even the most avid New Orleans foodie might not have known. Ella Brennan is credited with jump-starting the careers of chefs Paul Prudhomme, Emeril Lagasse, Jamie Shannon, and Tory McPhail, Commander’s current executive chef. Commander’s Palace is known as much for its joie de vivre as for its innovative and ever-evolving cuisine and Ella Brennan is credited with starting that New Orleans institution the Sunday “Jazz Brunch.” “I don’t want a restaurant where a jazz band can’t come marching through,” she says. Archival footage and recent interviews keep the documentary moving like a fabulous feast and the screening I attended was packed to overflowing. “I wasn’t expecting this particular screening to be this popular,” said the woman perching on a bar stool next to me at the Red Mountain Theatre Company’s cabaret theatre space in the basement of the Kress Building. “Well, it’s New Orleans and it’s about good food and it’s playing in Birmingham,” I responded. I wasn’t surprised at all. On leaving the theatre on 19th Street I immediately booked a table at Commander’s for an upcoming business trip. A few years ago, I attended a mid-morning Sidewalk screening of a documentary that I have never forgotten and that may be my favorite movie ever seen at the festival. 45365 (2010) was directed by brothers Bill Ross IV and Turner Ross (www.rossbros.net) in their home town and is a beautifully shot and moving chronicle of life in Sidney, Ohio; 45365 is Sidney’s postal code. 45365 has a hypnotic pace and is definitely not for everyone. It provides neither climaxes nor resolutions but follows the pace of life in a small midwestern town in an incisive and beautifully edited piece of meditative work that is documentary but hard to pin down. I found myself thinking about 45365 at another Sidewalk mid-morning screening last week. The movie was The Other Kids (2016), a “narrative-documentary” hybrid directed by Chris Brown (www.theotherkidsmovie.com). The Other Kids follows a group of high school students in a Sonora, California, high school. The cast are non-professional actors and the dialogue is improvised, based on the experiences of the engaging and attractive young cast. Many questions are raised but few are conclusively answered as the audience feels like it is eavesdropping and peeking in on personal and intimate experiences. One of the teenagers resorts to cutting as he struggles with college and major decisions while another considers enlisting in the military. One deals with the pressure of being moved into a new school and community while another finds herself functioning solo, unable to make a connection. One lives off the grid, protective and secretive about his immigration status, while another feels pressured to hold everything together while her parents’ marriage dissolves. Levity and pain are interspersed throughout the movie along with moments of pure joy and horseplay. The adult characters are as authentic as their young counterparts and the film quickly absorbs the audience into a world that is familiar but presented in a cinematically fresh manner. The Other Kids ends with a high school graduation. “Pomp and Circumstance” has never sounded so portentous. 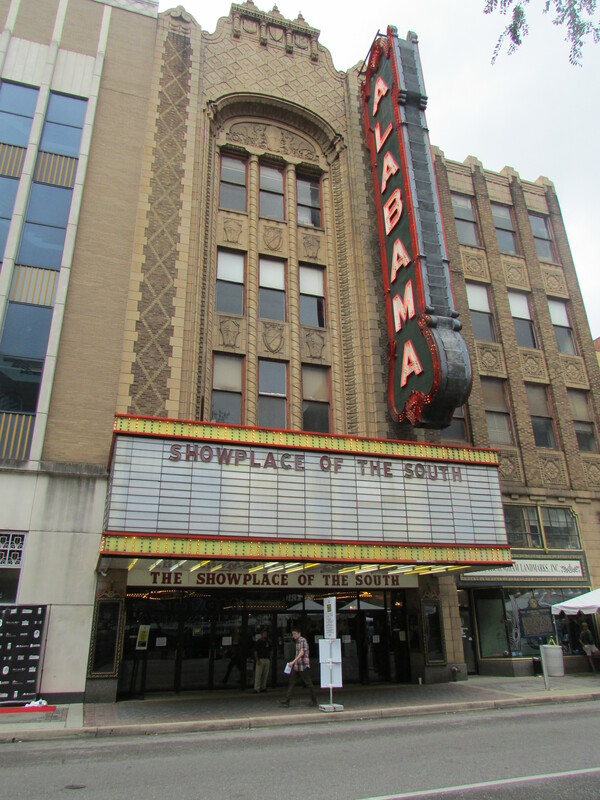 This entry was posted in Sidewalk Film Festival 2017 and tagged 45365 documentary, Alabama, Beasts of the Southern Wild, Behn Zeitlin, Birmingham Alabama, Birmingham Sidewalk Film Festival, Chris Brown director, Commander's Palace, Ella Brennan documentary, Ella Brennan: Commanding the Table, James Agee, Leslie Iwerks, New Orleans food, Ross Brothers filmmakers, The Other Kids marrative-documentary on September 4, 2017 by gedwardjourney.